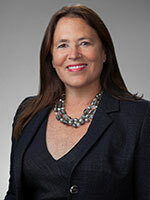 Ms. McKeon is the first female to hold the position of Chair-elect in Morgan Lewis’ 140 year history and is one of only a handful of women leading international law firms today. Lynn Doyle is a multi award-winning journalist and ten-time Emmy recipient with more than 30 years of television news experience. 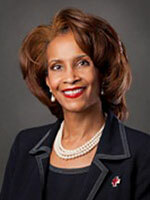 Prior to becoming the CEO of the American Red Cross of Southeastern PA on May 16, 2011, the Honorable Renée Cardwell Hughes served as a trial judge in the Court of Common Pleas, the First Judicial District of Pennsylvania which encompasses the City of Philadelphia. Founded in 1934 and currently in its third generation of family ownership, Firstrust is a privately-held bank with assets of $2.5 billion. Firstrust is a Small Business Administration (SBA) preferred lender, and provides both retail and commercial services through its 18 banking offices located in Bucks, Burlington, Lehigh, Montgomery and Philadelphia counties. 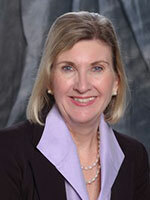 Ann McNally is founder and Managing Principal of ACM Advisors, LLC. Ann has been a dedicated volunteer for the WRC since 2002 and is currently a member of the Advisory Board and the Board Development Committee. Infectious Disease Associates at Crozier Chester Medical Ctr.